Poetry examples of odes date back to ancient Greece and the Greek poet Pindar, who is credited with inventing this form of poetry. The word "ode" comes from the Greek word oide meaning "to sing or chant:" odes were originally performed to music. Emotional rip currents run through this ancient form of self-expression. Odes are usually written in appreciation or reflection. They are almost always written about a significant event, or someone or something that the poet admires. There are three different types of odes: Pindaric, Horatian, and Irregular. It'll be helpful to be able to identify each form as you soak up the beauty and lyricism found within their stanzas. Often describe as the greatest lyrical poet, the most lyrical style of ode was named after the master himself. Pindaric odes were meant to be performed with dancers and a chorus, celebrating events like the Olympics. Pindar loved to include mythological allusions in his writing. Pindaric odes consist of three sections (strophe, antistrophe and epode). The strophe and antistrophe have the same meter and length, while the epode has a different meter and length. The Horatian ode was named after the Roman poet, Horace. These were usually more thoughtful than a Pindaric ode, meant for personal enjoyment than a stage performance. Their subjects tend to be simple, reflecting on nature, people or abstract concepts. A Horatian ode usually has a regular stanza pattern - usually 2-4 lines - length and rhyme scheme. This excerpt from Ode to the Confederate Dead by Allen Tate demonstrates the structure of a Horatian ode. They sough the rumour of mortality." Authors of an Irregular ode will retain some of the elements of a classic ode, such as tone and subject, while enjoying the freedom to experiment with rhyming and structure. An Irregular ode has no set structure, but it'll be helpful to highlight the similarities and differences between the Pindaric and Horatian odes before enjoying a few more examples. Understanding the rich history that lies within an ode will allow you to enjoy them even more. Quatrain stanzas - Both Pindaric and Horatian odes used quatrain stanzas, which means they have four lines. Subjects - The subject of Pindaric odes was usually a celebration of gods or events, whereas the subjects of Horatian odes were more personal in nature. Short lines - A short fourth line was standard in the Pindaric style. In a Horatian Ode, the third line was often short, followed by a full fourth line. How rent by stiff Southwestern blast? Thy side, of rowers how forlorn? Can you feel the emotion pouring through the page? Odes are a special form of lyric poetry, rooted in rich history. They always contain deep meaning. Read Examples of Lyric Poetry, to discover more poems with similarly deep and emotive undertones. And if you'd like to dive deeper into poetic waters, enjoy What Are the Different Types of Poems. As one of the truest forms of self-expression, we hope you'll continue a lifelong love affair with the beauty of poetry. "Poetry Examples of Odes." YourDictionary, n.d. Web. 18 April 2019. <https://examples.yourdictionary.com/poetry-examples-of-odes.html>. 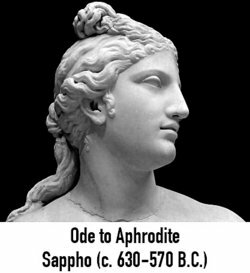 Poetry examples of odes date back to ancient Greece and the Greek poet Pindar, who is credited with inventing this form of poetry. The word “ode” comes from the Greek word oide meaning “to sing or chant:” odes were originally performed to music. Emotional rip currents run through this ancient form of self-expression. Odes are usually written in appreciation or reflection. They are almost always written about a significant event, or someone or something that the poet admires.